Get the most of your membership experience by joining our clusters. Meet members from your industry and join our industry focused events. By joining our Healthcare Cluster, your company will form part of an innovative Swedish business platform that engages decision-makers in the relevant countries as well as pooling Swedish resources for efficient trade promotion. In our cluster you will be able to access information about current business opportunities, exchange experiences and access financing and other resources for specific projects you might have. We will assist you with your entry into this attractive and growing niche East Africa as well as support you with contacts to other entities supporting business development across the African continent. SWEACC promotes profitable investments and trade between Swedish and East African markets. Welcome to join us and our healthcare cluster! Together we can change healthcare in Eastern Africa and across the continent. The East African region is showing a robust economic growth (5.9 percent in 2017, which is forecasted to continue in 2018 and 2019). This market growth presents investment opportunities in prime sectors including the healthcare sector. As consumers’ disposable income grows, expenditure on healthcare and wellness increases. Hospitals and other healthcare providers are drifting towards adaption of new technologies. The region is also encouraging centres of excellence by country and also with focus on key healthcare challenges facing the region. Companies in Sweden are welcome to take advantage of this interesting market to work with companies, centres of excellence and forging new partnerships with Governments or NGOs operating in East Africa. There are opportunities for medical devices for both therapeutic and diagnosis, new ICT (eHealth or Digital Health) solutions capable of reaching the rural and underserved communities in East African member countries, pharmaceuticals, opportunities for use of technology for Continuous Medical Education (CMEs) and many more. If you join our Healthcare cluster, you will have a platform to share information and experiences within your area of expertise and we will help you to connect with relevant entities to support your entry into a new viable niche in East Africa. SWEACC promotes profitable investments and trade between Swedish and East African markets. The Healthcare cluster focuses on use of life science, quality assurance, patient care, hospital planning and development, regulatory and joint business opportunities in healthcare. As member of the Healthcare cluster, you will have access to special business opportunities developed by the Cluster and shared with Embassies, and stake holders from East Africa. Furthermore, as Cluster a Member you will always get invitation to attend special mingles with EAC Ambassadors and visiting high-ranking executives and civil servants from East Africa. You will also get invitations to meet visiting delegation as well as joining delegation trips to East Africa. Welcome to join SWEACC Healthcare Cluster. Together we can change healthcare in Eastern Africa and across the continent. You can contact our Cluster Managers by pressing here. There is a market waiting with 400 million consumers in Eastern Africa, around 150 million of them are living within the EAC market. Only the EAC market alone has a combined GDP size of about 150 billion USD right now. Internet access and mobile phone subscribers are growing in an explosive rate and many are looking for new products and services. By joining our ICT Cluster, you will have a platform to share information and experiences within your area of expertise and we will help you to connect to companies, organisations and business opportunities in East Africa. SWEACC promotes profitable investments and trade between Swedish and East African markets. The ICT Cluster focuses on use of both computers and software including mobile phone applications and along with new innovations within information technology. The East African market is developing fast and is one of the fastest-growing areas in the world right now. Especially interesting for ICT is that EAC is one of the world’s fastest reforming region in terms of business regulation but also internet access, especially by mobile phone. We can see more simplified investment procedures and one-stop centre facility provided by national investment promotion agencies to help companies from Sweden establish and invest in East Africa. Internet access are growing fast, and we can also see an abundant labour force creating new business opportunities. English is widely spoken in the region, so it will be east for Swedish business to communicate with both personal and customers. This market growth presents investment opportunities in many sectors such as education, government and in the healthcare sector. The market forces are drifting slowly towards adoption of technology in for service sector because of changing consumer preferences for better service options. Companies in Sweden are welcome to take advantage of this interesting market to work with companies, centres of excellence and forging new partnerships with Companies, Governments or NGOs operating in East Africa. There are opportunities for Edtech (Education) eHealth (Digital Healthcare) and Fintech along with traditional business services. The African Fintech Industry alone is set to be worth $3 billion by 2020. Within our cluster we will discuss how can we create a network of companies that are using technology to provide innovative financial services, including payment, lending, savings, financial advice and financial infrastructure and more? Digital technology is central in driving financial inclusion but also improving business and public services. Technology continues to offer great opportunities to open new markets, increase choice and speed delivery of services. 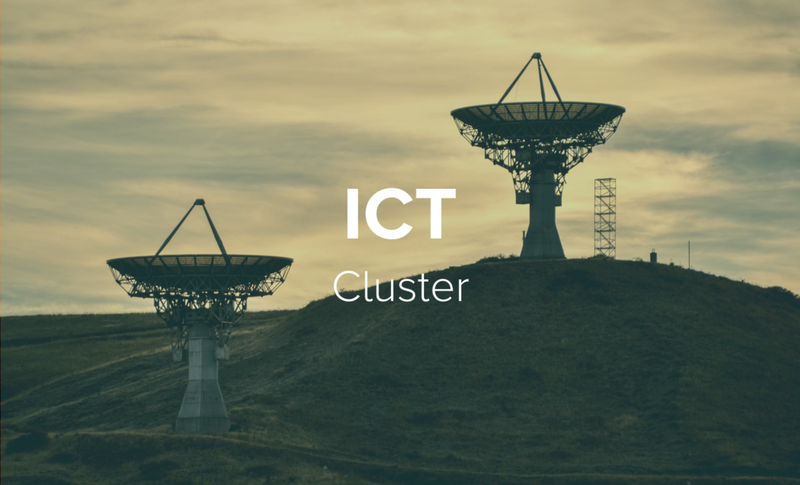 If you join our ICT Cluster, you will have a platform to share information and experiences within your area of expertise and we will help you to connect with relevant entities to support your entry into a new viable niche or business in East Africa. SWEACC promotes profitable investments and trade between Swedish and East African markets. The ICT Cluster focuses on use of information technology in business and public services. As member of the ICT Cluster, you will have access to special business opportunities developed by the Cluster and shared with Embassies, and stake holders from East Africa. As Cluster a Member you will always get invitation to attend special mingles with EAC Ambassadors and visiting high-ranking executives and civil servants from East Africa. You will also get invitation to meet visiting delegation as well as joining delegation trips to East Africa. SWEACC have created a cluster called Green City to focus on sustainable business in Africa. Today, East African with neighbours offers a market close to 500 million consumers for Swedish goods and services. As the economies are growing the need for sustainable infrastructure and renewable energy is great. Hot topics in East Africa are renewable energy, waste management and waste to energy, water purification (Blue Economy) and sustainable urban planning. Many companies in Sweden are in the front line in terms of innovation and technologies that could meet the demand we see in East Africa. We have now created a cluster focusing primarily on "green" urban solutions but also solutions for rural areas. We are starting with East Africa but are open to other markets. What we have seen within SWEACC is the need to collect, coordinate and help more Swedish companies cooperate so they can grow together in East Africa. We know there is a great interest from Africa in Swedish innovation and green technologies. If you join our Green City Cluster you will have a place to share information and experiences when interested to establish and grow your business and/or operation in East Africa. 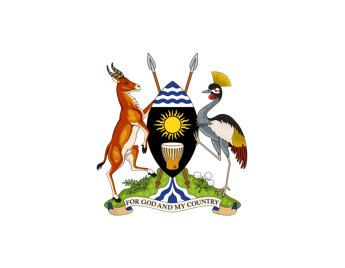 You will have access to special business opportunities developed by the Cluster and shared with the Embassy and local stake holders from East Africa. As a Cluster Member you will always get invitations to attend special (Embassy) mingles with the Ambassadors and visiting high-ranking executives and civil servants from East Africa. You will also get invitations to meet visiting delegations but also join delegation trips to East Africa. In addition to coordinating companies so that they can cooperate, we will work to introduce appropriate projects (right size and risk) to our clusters as well as offering financing solutions for businesses and projects to our clusters. An important part of this work is the SWEACC membership in EBCAM, where we also have access to a network of investors and other companies in Europe who are also interested in business and investment in Africa. You are welcome to join the SWEACC Green City Cluster and you can contact our Cluster Manager by here. Our cluster for both institutional and private investors interested in Africa. We have a working relationship with East African Association (EEA) that is a network of 400 investors in Europe interested in Africa. You are welcome to join the SWEACC Investment & Finance Cluster and you can contact our Cluster Manager by here. The overall framework for our NGO Cluster are UN Sustainable Development Goals number #1 - NO POVERTY and number #17 - PARTNERSHIPS FOR GOALS. SDG goals #3 HEALTHY LIVES, #4 EDUCATION and #8 ECONOMIC GROWTH are the initial focus areas. 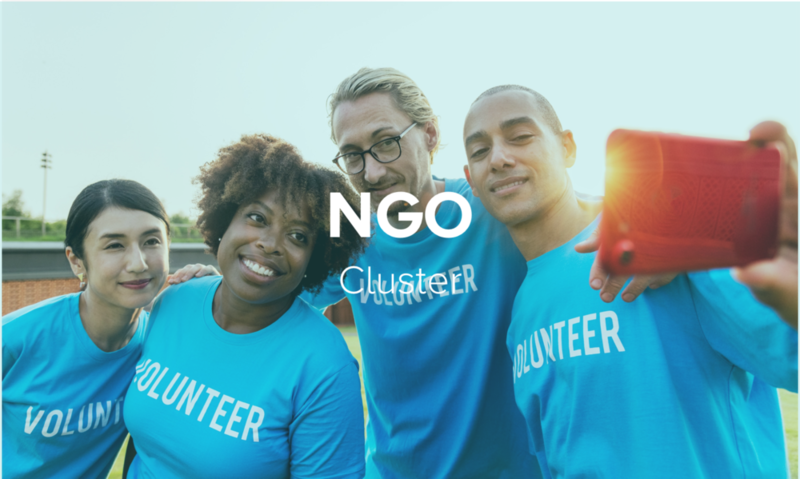 If you join our NGO Cluster you will have a place to share information and experiences when interested to establish and grow your business and/or operation in East Africa. You will have access to special business opportunities developed by the Cluster and shared with Embassy and stake holders from East Africa. As Cluster Member you will always get invitation to attend special (Embassy) mingles with the Ambassadors and visiting high-ranking executives and civil servants from East Africa. You will also get invitation to meet visiting delegations but also join delegation trips to East Africa. Members to SWEACC NGO Cluster will belong to the pioneering group of business people, who will be able to claim "we were there when it all started" when the EAC went from Aid to Trade as one of our important initiative are the NGO Cluster. Welcome to join SWEACC NGO Cluster and you can contact our Cluster Manager by pressing here. Become a SWEACC member and join our clusters.